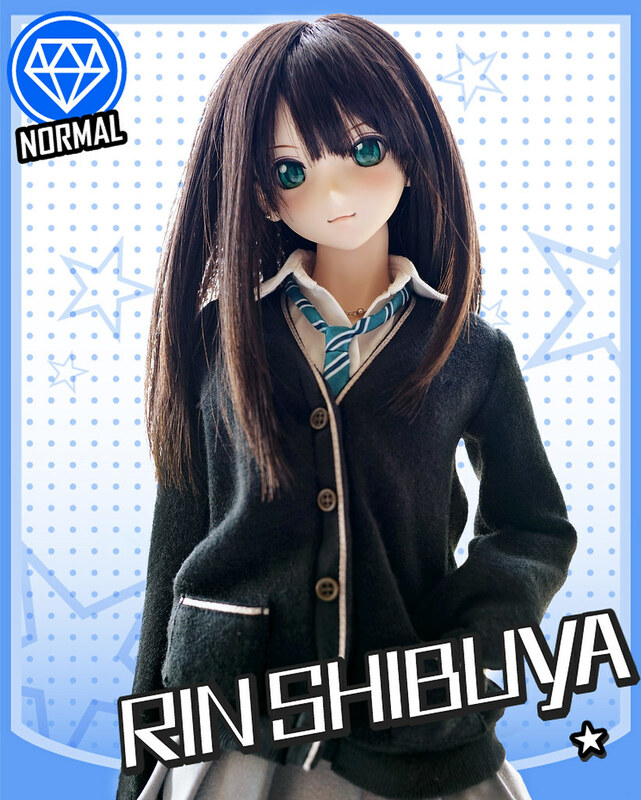 It cannot be Shibuya Rin without her uniform (and I just wonder why it is not the default outfit). It starts from the illustration of the very first “normal” card of the game – IDOLM@STER Cinderella Girls – a girl who wears school uniform in a little bit messy way with earrings and necklace. However, those accessories are minimal and simple enough just for reflecting her own preference and style instead of drawing attention from the others – and that was Shibuya Rin’s impression from this little piece of illustration. 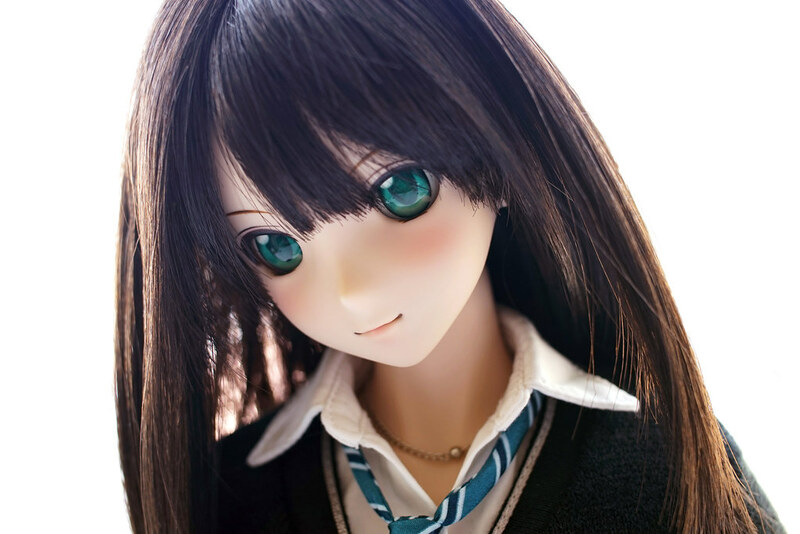 In much cases, sculptures of character dolls have little resemblance to its original character design. 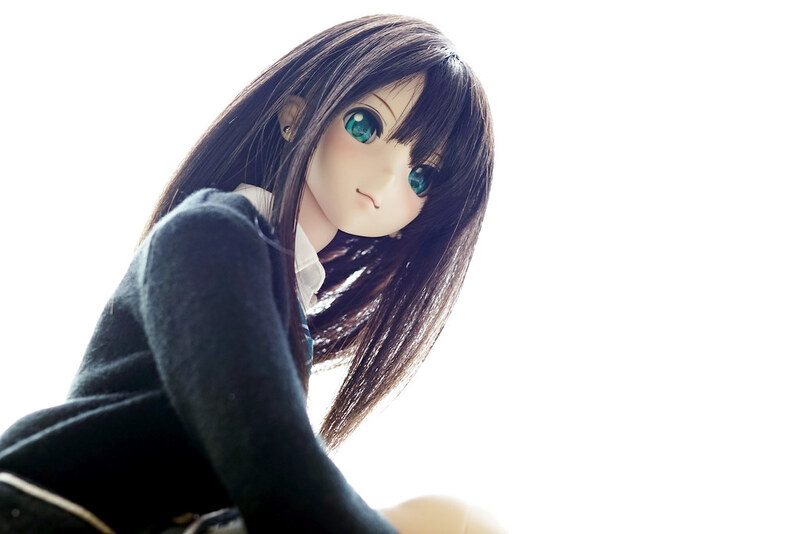 However I do think it is fine if the doll is nicely made, and yet have the feeling of being such character. 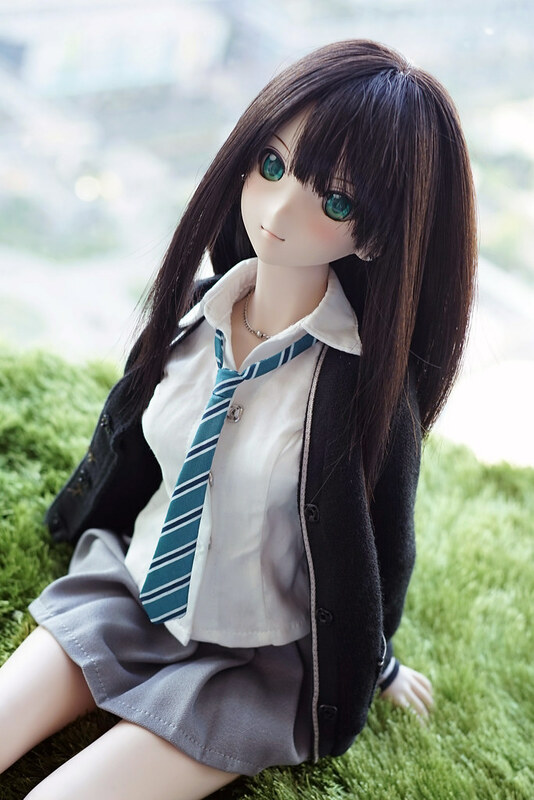 Although she doesn’t look exactly the same as the character design, but after putting on her school uniform and setting her hair style, I would say, she is more than perfect to be called Shibuya Rin. It seems that Rin’s family business is a florist’s. 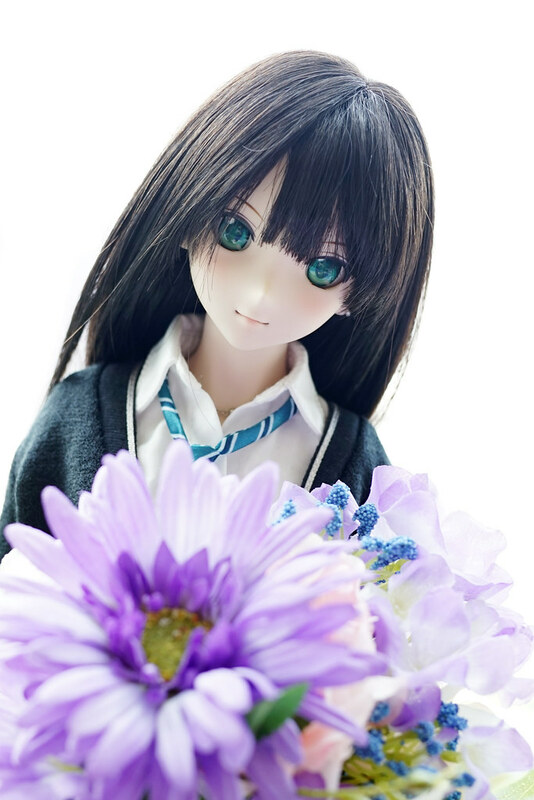 Just have some flower here…mm..seems match. Actually I haven’t played “IDOLM@STER Cinderella Girls”, hence I didn’t know much about Rin’s episodes. PS3’s “IDOLM@STER one for all” is my first IM@S game (which released last month), and if I have time, I may try to play “Cinderella Girls”. 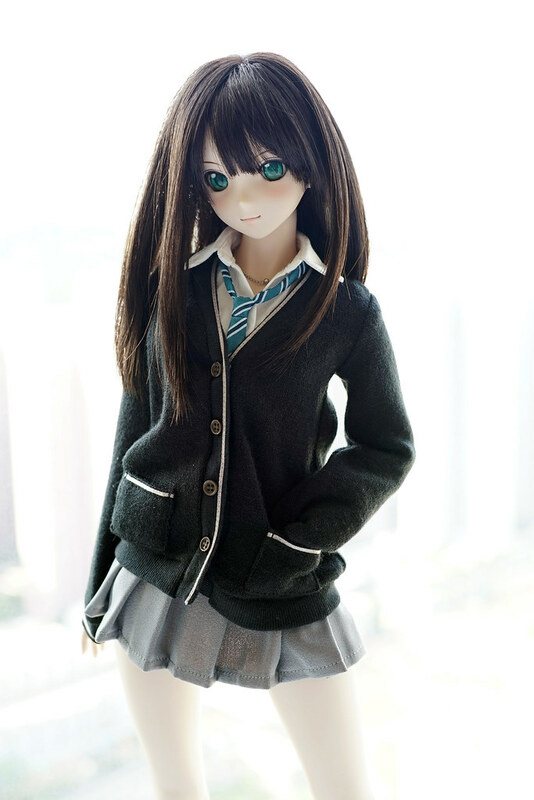 Thats all for DD Shibuya Rin – School Uniform style. 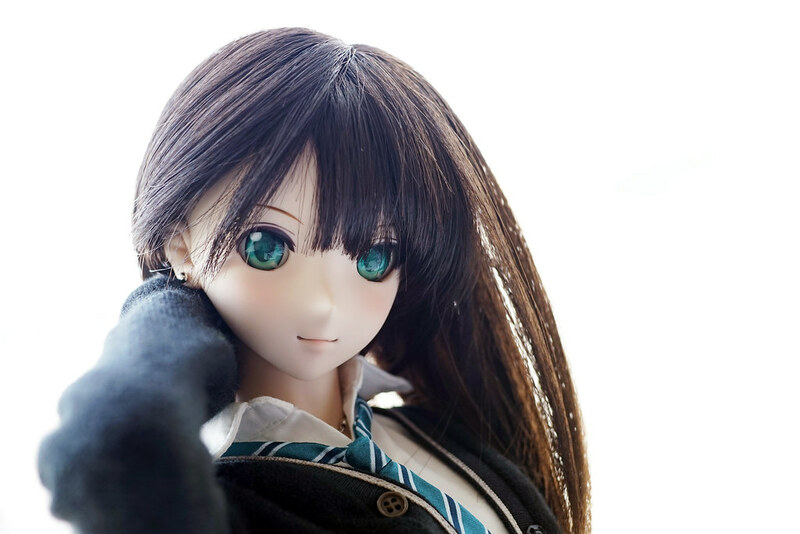 Hope I could have some time for taking photos of Rin in “New Generation” outfit. 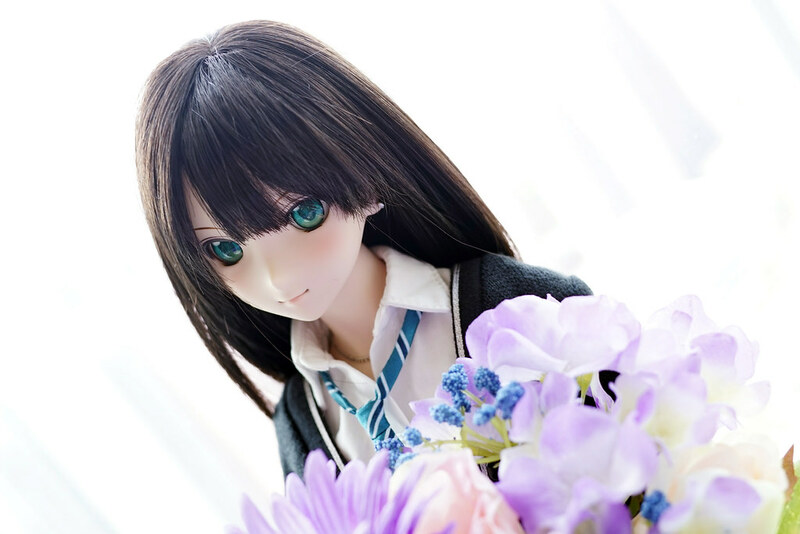 Thanks Otakusan〜 zero-resistance to DD Shibuya Rin no matter what she looks like :D Are you planning to get DD Rin too? I do heard that using Chihaya Kisaragi’s head to cosplay Rin may even looks better than the original… I am not quite sure but Chihaya is nice too. Chihaya should looks pretty in Rin’s uniform! It should be quite match indeed. Wish you could get the uniform in a reasonable price.